People often blame the common foot deformity claw toe on wearing shoes that squeeze your toes, such as shoes that are too short or high heels. However, claw toe also is often the result of nerve damage caused by diseases like diabetes or alcoholism, which can weaken the muscles in your foot. Having claw toe means your toes “claw,” digging down into the soles of your shoes and creating painful calluses. 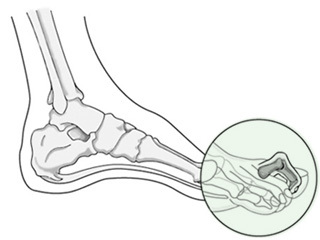 Claw toe gets worse without treatment and may become a permanent deformity over time.